Would be nice if the paper you get when you died also says how you died and who/what killed you. 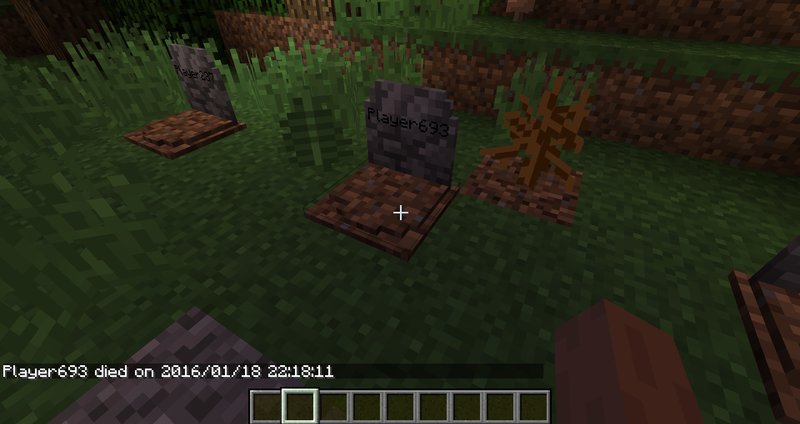 One of our players died, and it spawned the grave, but his stuff just got dumped on the ground and not put into the grave. How can I fix this? Please send your log files. 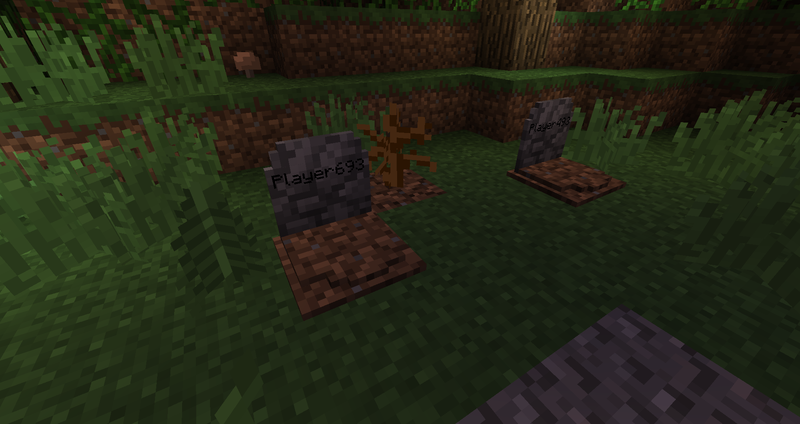 Now when someone dies, it's making two graves for some reason. I'll try to remember to grab the log next time someone dies. 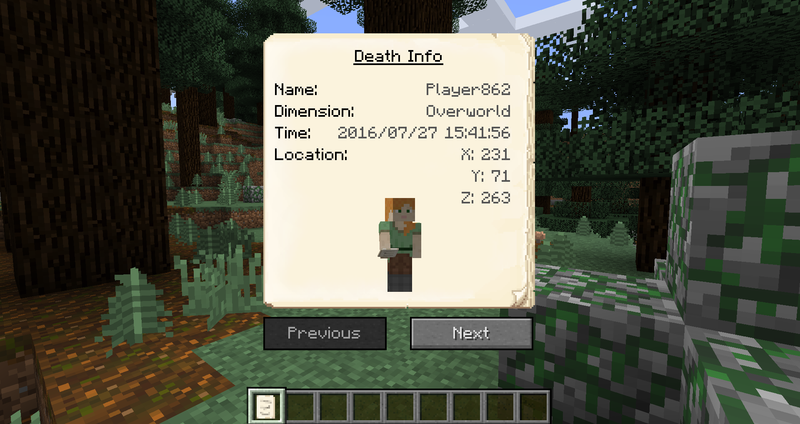 Our server is set to restart multiple times a day, and I don't remember which one has a dead in it lol. Do you have SpongeForge on your server? 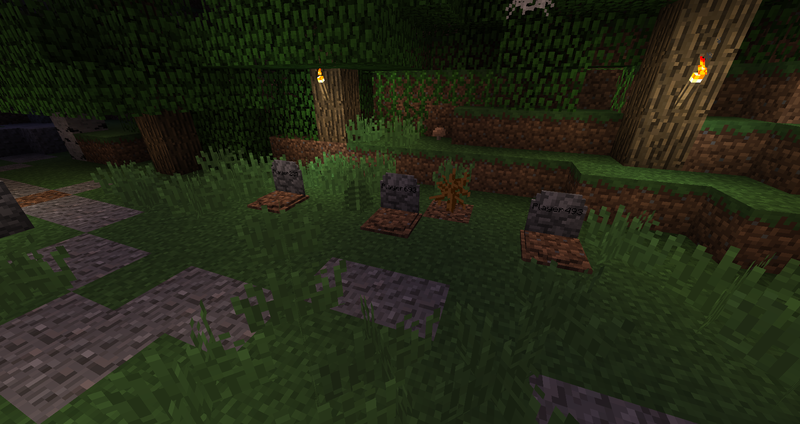 If you are also running openblocks, it has it's own grave system that functions similarly, but spawns skeletons. I was having the double grave issue. 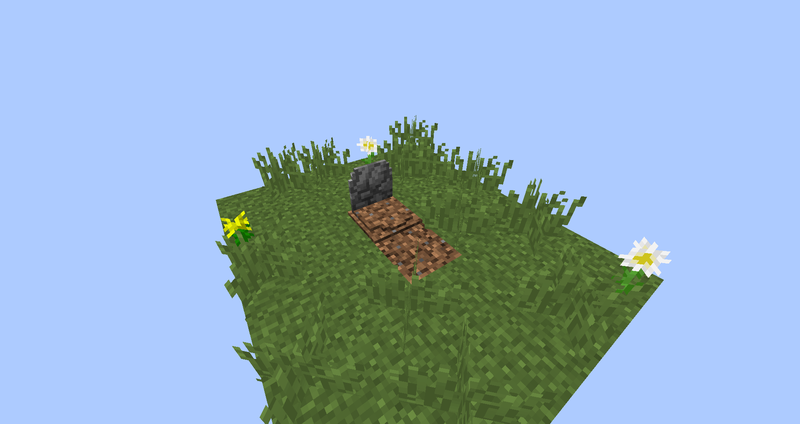 If you are using HWYLA (with expansions and stuff) One will show openblocks and one will show gravestone. Hope this helps! Why is it not dropping items that was in my inventory. I have died 3 times with a lot of stuff in my inventory and it doesn't drop it. So i lose everything. 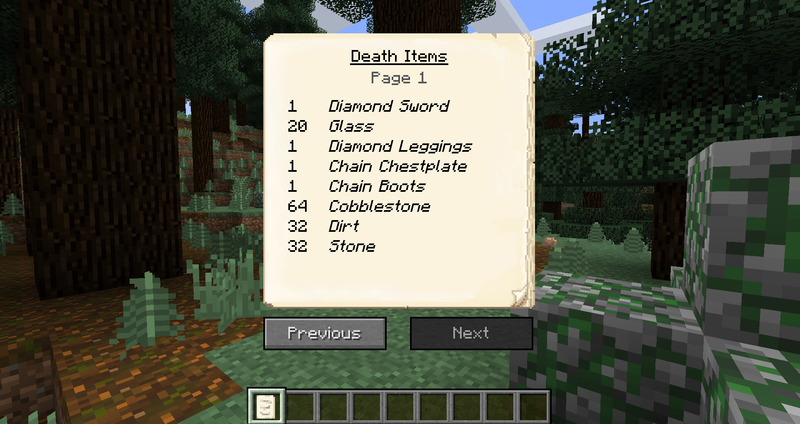 Keep inventory isnt on. Maybe you have doTileDrops turned on. If not please send your log files. 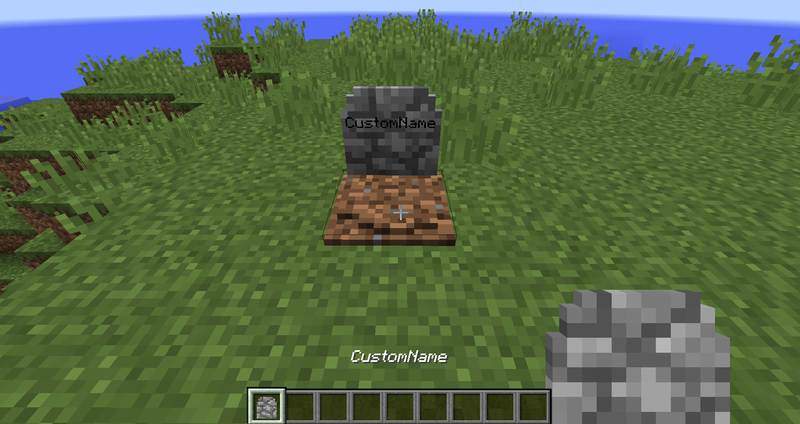 Is there any way (1.12.2) for the grave to keep you're entire xp amount and not just a part? 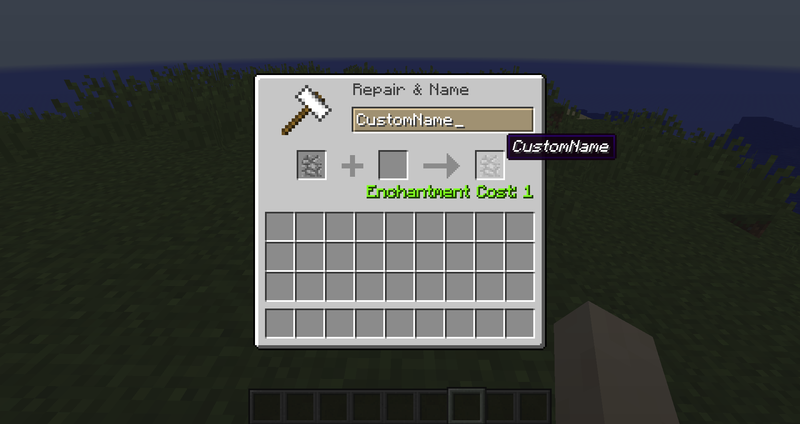 I suspect this would require another mod, which are compatible? Thanks! It should spawn on the next air block above. Hola!, si buscas una review del mod, explicando todo lo que trae, aquí te dejo mi vídeo explicando TODO! There was a bug a few months ago, where two graves would spawn with sponge. The last time the problem was the LivingDropsEvent. Maybe its similar. Just leave a bugreport at the sponge issue tracker. what is the link to your github? i would like to report this issue as well. 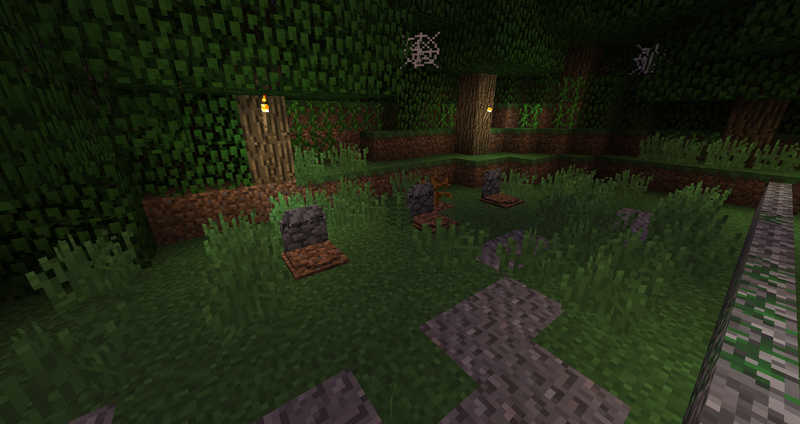 only way a grave spawns is if keepinventory is true. 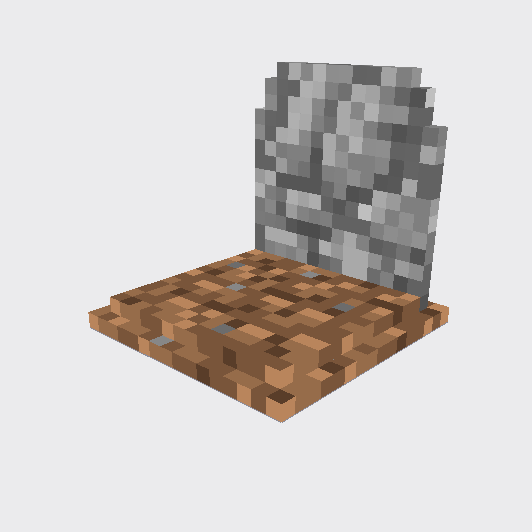 otherwise no grave, no items. Quick question. 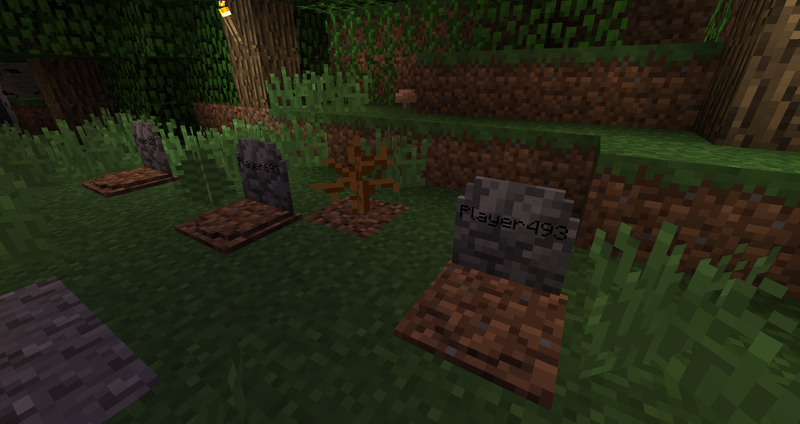 Is it possible to configure the mod so that each player can have just one grave at any given point of time.....? So if a person was going towards their grave and doed on the way. 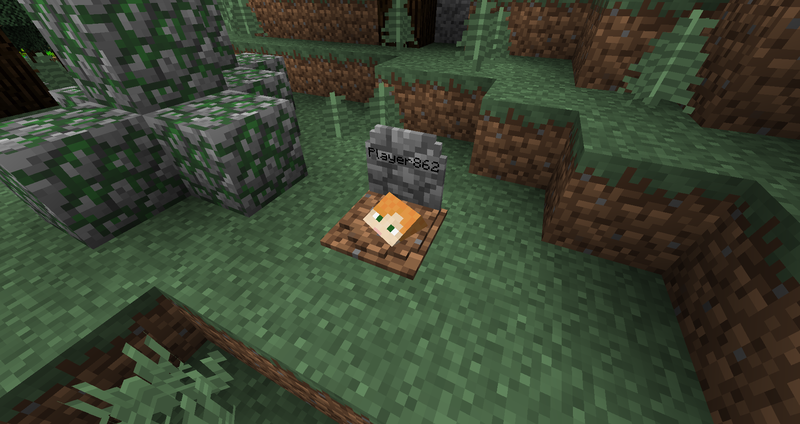 A new grave spawns and the old grave gets voided? ?